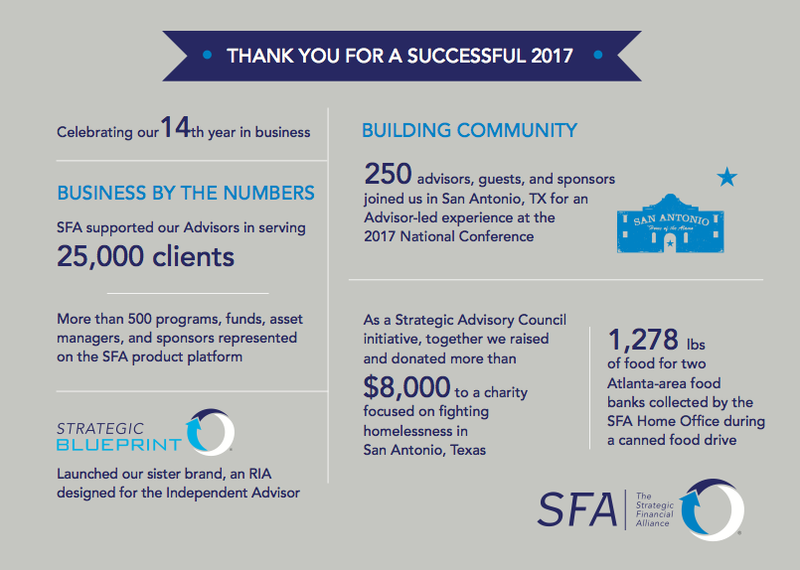 This year, we worked together as an SFA community to focus on growth, sharing, and giving back. This year's holiday card highlights some of the successes we've had in these areas. Thank you for your partnership. We look forward to an even stronger relationship in 2018.